Jersey's swimmers continued to set personal bests at the Commonwealth Youth Games in Samoa. Nathan Corrigan broke the junior Jersey record in finishing eighth in the final of the 200m backstroke in 2:10.94. 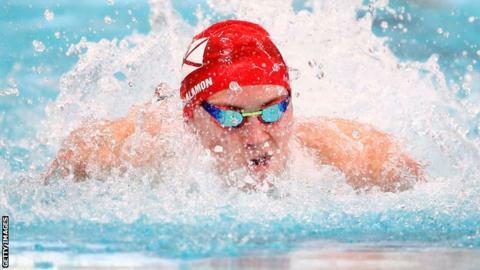 Harry Shalamon swam a personal best of 58.61 in the 100m butterfly as he beat team-mate Cameron Swart in the B final. Olivia Pollard followed up her 100m freestyle personal best by twice breaking the island record in the 100m butterfly as she finished 10th. Pollard's time of 1:03.98 in the B final bettered the time she set in the heats by almost half a second. Elsewhere, shot-putter Yuri Pereira threw a lifetime best of 15.02m, but he finished 10th in the 14-strong field. The winner threw more than five metres further than the Jerseyman.